A: OUT THERE! is the best answer. We do not always go to the same places on our tours. 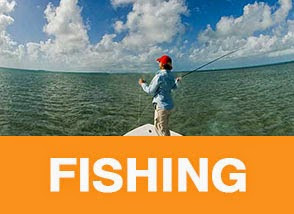 The backcountry of Florida Bay and Everglades National Park is vast and offers many, many places ripe for exploration. Where we go on any given day is primarily dependent on weather and wind direction. However, if you'd like to look on a map, some of our favorite spots include Alligator Bay, Long Sound/Shell Creek, and Manatee Key. Q: What if it's windy? 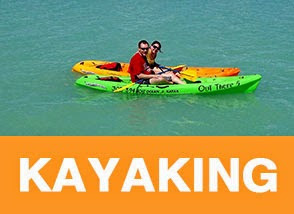 A: Out There Kayak Expeditions was actually conceived for windy days in the Florida Keys. We can always find a sheltered spot to paddle on (almost) any windy day. When it's too windy for other snorkel boats... if you're hesitant about seasickness... if it's too windy for that deep-sea fishing trip... we offer a fun alternative way to get out on the water and explore. 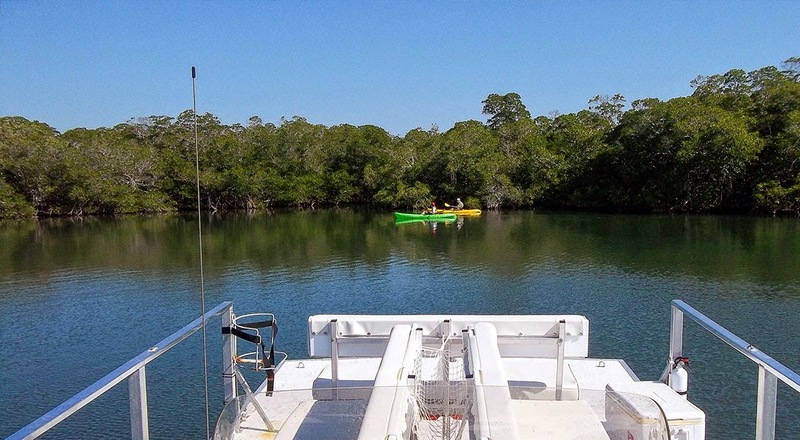 Plus, since we kayak off of the boat, we can even launch you in one spot, let you paddle down-wind, and pick you up without having to paddle back into the wind. So, call us when the wind blows! A: Kayaking and other activities we offer involve getting wet, so appropriate clothing and a towel are always a good idea. A bathing suit is best. Phones or cameras should be waterproof or in a waterproof case. We always provide ample drinking water for our guests. Snacks or other drinks are permitted, but keep in mind there is no bathroom on the boat, and plan for your personal comfort accordingly. Our expeditions involve exposure to intense sun, so a wide-brimmed hat and sunscreen are recommended. Q: What will we see? A: You'll see and experience an amazing, remote, and beautiful place when you venture with us into Everglades National Park. Most Florida Keys visitors take advantage of the many opportunities to visit the off-shore reefs via snorkel boat, scuba diving trip, glass-bottom boat, or on a deep-sea fishing trip. Until Out There Kayak Expeditions, there were limited opportunities to experience the Florida Keys backcountry unless you were willing to pay hundreds of dollars to charter a fishing guide. Let us show you the unforgettable "other side" of the Florida Keys! You'll see mangrove islands and white sand flats, a dazzling array of bird life, fish, dolphins, manatees, and, perhaps, even a shy North American Crocodile. You'll experience the quiet tranquility of being far from the hustle and bustle of U.S. 1.